Have questions about Energy Accounting? Contact Us! 1. You Get Utility Bills. You Pay Utility Bills. The End. Businesses love to follow their profits and losses…and for good reason! It’s these numbers that keep the company operational. The constant strategy behind the game of increasing profits and decreasing losses has gotten more and more complex over the years with technology and automation. But what strategies are there for utility expenses and efficiency? Do you have the accounting capabilities to double check accurate billing amounts and usage? How do you dispute usage overages? How do you confirm accurate versus estimated readings? How do you catch utility double billings? Do you have reports, files, summaries (anything) to track and improve spending by confirming optimized usage? All these things can mean the difference between an end of the year positive in profits or near flat-line of P&L’s. The internet and digital platforms have helped humanity out in a lot of ways pertaining to time savings (and now with smart meters it’s even easier to track). The way we paid our bills used to be by sending a check in the mail after getting a bill in the mail and the process altogether could take weeks! And there was always that slight doubt it was ever received in the first place. So how can businesses change their bill payments for utilities across multiple regions and locations? A utility accounting software specifically designed to handle the whole process and generate reports could be a good place to start. Let’s say that you got every office building to use LED lights, or solar powered energy, or those fancy water efficient 2 button flush toilets. But if you weren’t seeing how much those utilities were costing the building before the energy efficient technology was installed, then how are you measuring it’s return on investment? Month to Month savings or Year over Year improvements? 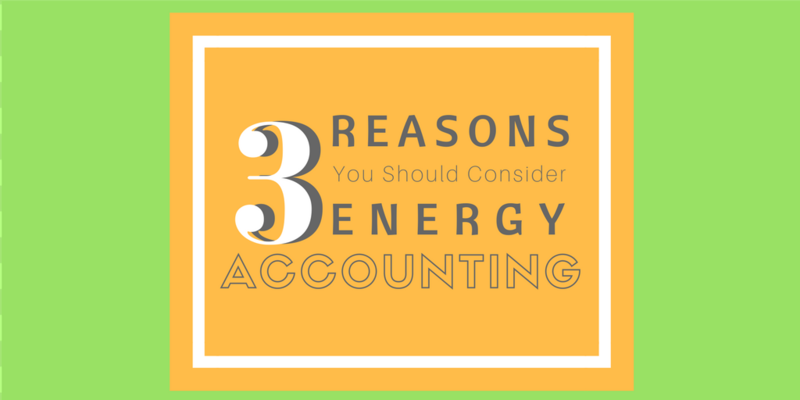 If you’re not sure, it might be time to consider Energy Accounting!